Women’s Beach Volleyball is growing rapidly around the world. It was an inaugural Olympic event at the 1996 Atlanta Summer Games. Since then, Beach volleyball is the International fan favorite Olympic event and the most difficult ticket to obtain. In 2010, in order to help Title IX, equal opportunity for women in NCAA sports, the NCAA officially recognized beach volleyball as a collegiate sport. Beach volleyball is expanding to more and more universities nationwide thus affording more scholarship opportunities to talented women volleyball athletes. Presently, there are over 77 Division I schools competing in beach volleyball and more than 100 colleges in all that offer beach volleyball programs. Many of these Universities are already offering athletic beach volleyball scholarships. Now that there are more than 40 Division I schools competing in beach volleyball and the Universities continued with 40 or more schools for two consecutive years, the NCAA has made Beach Volleyball an official Women’s Division I sport. The NCAA had its inaugural Final Four and crowned USC as its first Collegiate Champion in 2016. In 2017, USC defended the title and in 2018, UCLA won. 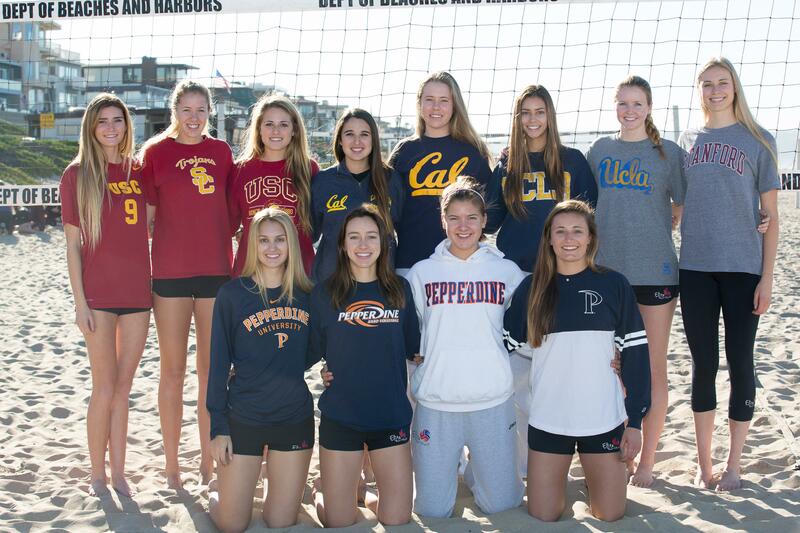 Due to beach volleyball becoming an official NCAA sport, Southern California High School beach volleyball teams have grown from 8 teams to 51 teams in just three short years. Many high school girls are choosing to focus on Beach only, foregoing their indoor careers to pursue their passion for beach volleyball. This is a very exciting time for Eric Fonoimoana, Holly McPeak and Barbra Fontana, three Olympians giving back to the sport that they love. 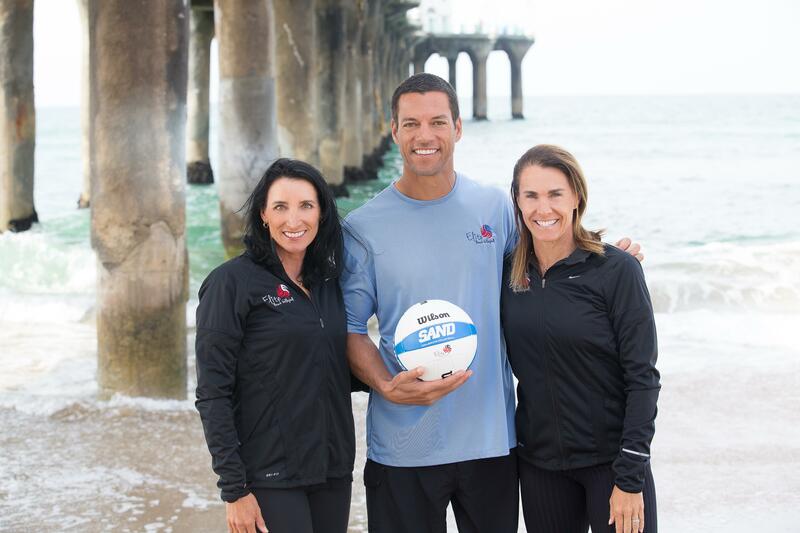 Elite Beach Volleyball has arguably the best coaches in the game. The dynamic trio offers year around training including private beach volleyball lessons, semi-private lessons and beach camps during the Spring, Summer, and Fall. 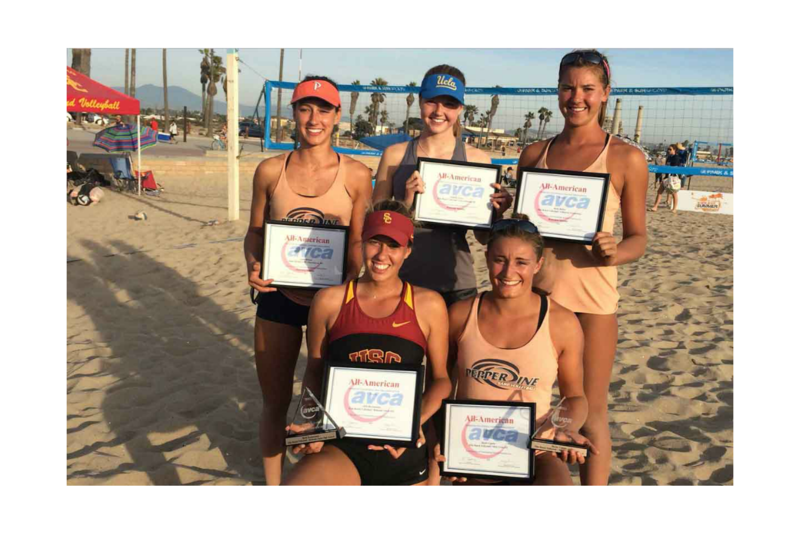 During the Winter, Elite Beach Volleyball offers Club team practices three times a week and competes in a tournament once a month in January, February and March. The girls train in Manhattan Beach, which has the deepest sand in the world and it's the host of the Wimbledon of beach volleyball, The Manhattan Beach Open. Eric, Holly, and Barbra are great players but they are even better coaches. The results are phenomenal. These club girls are the best prepared, skilled, and the most sought after talent for collegiate recruiters. The Elite coaches know all of the college coaches personally and assist players with the recruiting process and college placement. Elite Beach Volleyball has helped 88 girls to get into College to play NCAA Div. I beach volleyball, and the list is growing. Competition for beach volleyball scholarships is strong and each player, no matter her skill level, wants every competitive edge. Give your athlete the edge she needs to win! Give her the Elite edge by joining Elite Beach Volleyball! No refunds, no make ups or credit for spring/fall ball. SPRING CLINICS REGISTRATION CLICK HERE! ©2019 Elite Beach Volleyball / SportsEngine. All Rights Reserved.